We know now that Windows 10 S is coming soon to budget PCs. The question is, do you want to use it? If you are not happy with some of Microsoft's decisions, fortunately, you will be able to upgrade to a 'proper' version of Windows. 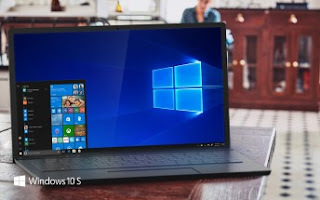 According to Microsoft, you will be able to upgrade the Windows 10 S installation that will come pre-installed on your computer to a full blown Windows 10 Pro for an additional $49. That's a small fee to upgrade, considering the retail price of Windows 10 Pro is $199. There is no option to upgrade to Windows 10 Home. As for those who purchase the Microsoft Surface Laptop, they will be able to upgrade for free but only until December 31, 2017. After that you will have to shell out $49 like everybody else.